Fit & Style | Formerly Just Alterations. We make fashion accessible and approachable. 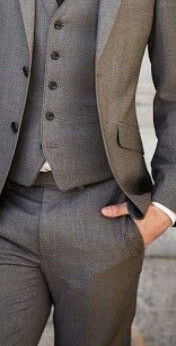 We’ll help you figure out what looks good, what must go and which items would benefit from our custom tailoring service. Our team consists of highly skilled master tailors and seamstresses who are uniquely qualified to flawlessly craft your garments ensuring the perfect fit. We’ve nailed down the steps to discovering the looks that reveal your most confident self. Let us help define and perfect your personal style based on your preferences, body type and budget. Our bridal specialist can assist you in finding the perfect gown and once you find the dress of your dreams we can alter it to perfection. 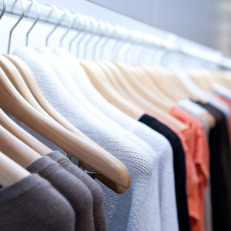 Most people wear only 20% of their wardrobe 80% of the time. As your go-to wardrobe and personal styling consultants, we make fashion accessible and approachable. 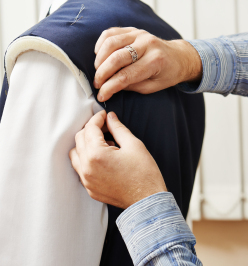 We’ll help you figure out what looks good, what must go and which items would benefit from our custom tailoring service – making your clothing look like it was made just for you. 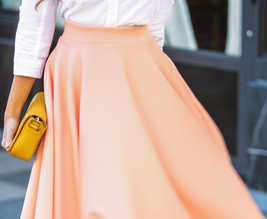 Get started on your refreshed wardrobe! Set an appointment to bring in a batch of that other 80% you aren’t wearing. We’ll work with you piece by piece to either make it work or decide to let it go. And don’t forget those long time closet inhabitants, we can also adjust and redesign those older pieces to fit with the latest trends and stylelines. One of our professional Image Consultants will work with you through a consulted process at our studio and in your home to do an analysis of your wardrobe, assist you in identifying your current needs, and provide you with assistance in filling in the gaps. Service includes: 30 minute consultation (in our studio or in your home) plus an additional (3) three hour in home evaluation of your wardrobe to determine if the style is current, flattering for your body and features, fits well, and mixes and matches with other pieces. 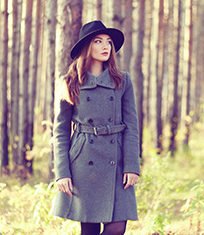 Your stylist will provide photos of your top 3 ensemble looks for each of your lifestyle categories. $90 an hour for each additional hour. Sometimes, you don’t need new clothes – you just need better fitting ones. Trends come and go. Craftmanship is a constant. Great craftmanship is about listening to what our clients need. Attention to detail, quality, passion, and experience are involved in every aspect of what Fit & Style does. Fit & Style is proud to offer the only team of in-store Fashion Stylists in the greater Long Beach area. Each Stylist brings an extensive background in fashion design and construction and a keen focus on superior service to every client interaction. Whether your garment requires a designer’s vision or simply precise instructions, your stylist will fit and give clear direction to our tailors and seamstresses to ensure success. Tailoring is the craft of sculpturing a garment to the shape of your body, giving the appearance that it was custom made for you. 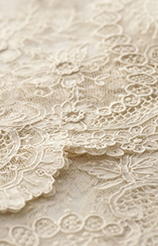 The experts of this craft are known as Master Tailors, which takes years of apprenticeship and decades of experience. Fit & Style’s Master Tailors have years of experience with top designers and high-end fabrics, and our team delivers professional tailoring results every time. Alterations is the art of adjusting a garment for your specific needs — be it length, size or shape. Fit & Style has a team of highly skilled seamstresses that are trained in all aspects of clothing construction, design, and finishing techniques. In addition, we have over 1,000 thread colors and the industrial equipment required to complete your alterations to the original manufacture look. 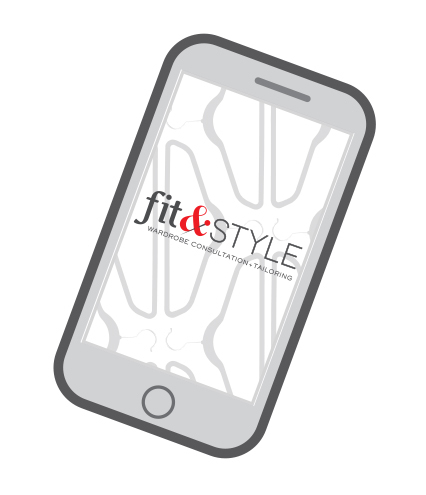 Fit & Style’s mission is to make it significantly easier for you to love how you look every day. In today’s increasingly style-counscious but time pressed world style can be elusive and every evolving, making choosing clothes that speak to your personality and body type a challenge. 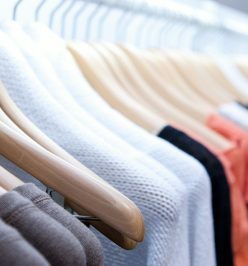 Many people have a closet that’s a blend of the functional and aspirational- with plenty from the sales rack. But beneath that pile of clothes, there is a personal style that is true to you. We want to help you buy what you’ll look good in, feel good about, and wear. 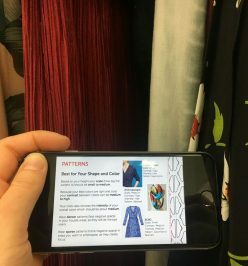 Online styling services just don’t provide the personal touch needed to transform the way you look at your wardrobe and yourself. It can’t be done by simply filling out a questionnaire. We’ve nailed down the steps to help you discover looks that reveal your most confident self, take the guesswork out of getting dressed, and save you time and money. When it comes to your wardrobe we will define and perfect your personal style based on your preferences, body type, and budget. Your stylist will learn about your style as well as note your characteristics to find your coloring and body type. On average your stylist will take 1 to 2 weeks to complete your book. Receive your printed or digital book when you and your stylist discuss all your new tips and recommendations. Please select up to 3 available dates in preferred order. 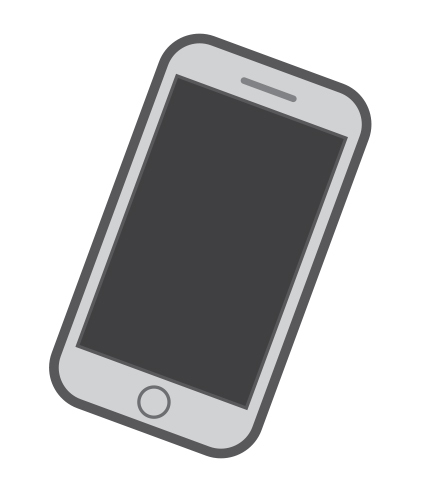 Appointments are not guaranteed until we contact you for confirmation. Thank you for booking with Fit & Style. body type, and budget. When you find the dress of your dreams, we can alter it to perfection. 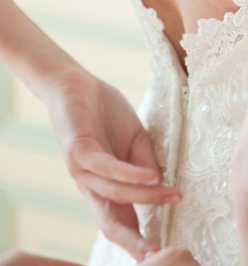 Now that you’ve found the dress of your dreams, trust the bridal alterations experts at Fit & Style with the most important part of your big day. With decades of experience, our team of miracle-workers guarantee that you will look and feel amazing from your first step down the aisle to your last turn on the dance floor. Bridal Gown Alterations are by appointment only. 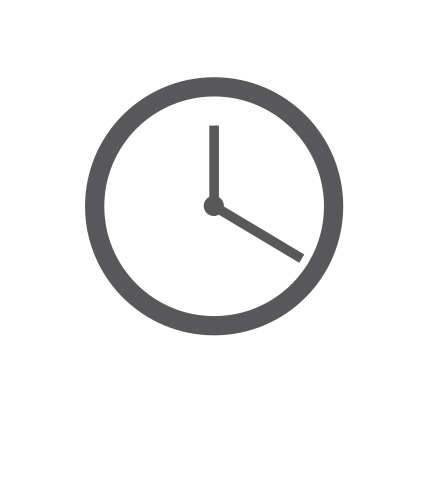 Please call at least eight to twelve weeks prior to your wedding date to ensure an appointment. 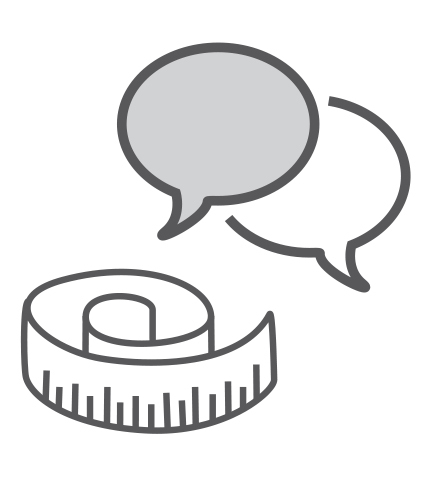 Fit & Style offers a complimentary consultation to determine what will be required in order to achieve the perfect fit; allow 45 minutes for this first step. 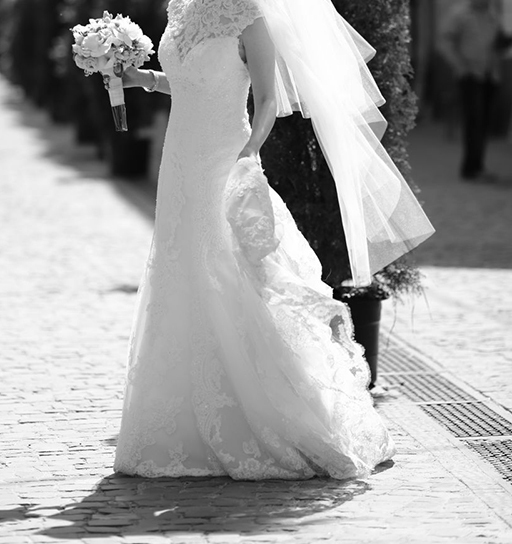 At that time, you will be given an estimate on the alterations based on the gown and the alterations that you desire. To ensure that we can achieve the best possible fitting, we recommend that you bring all the undergarments (bra, slip, etc.) that you plan on wearing and your shoes. Depending on the gown, you can expect two to four appointments. Fit & Style offers tailoring and alterations for the entire bridal party: Groom, Bridesmaid, Groomsmen, Mother of the Bride & Groom, and other wedding attendees. 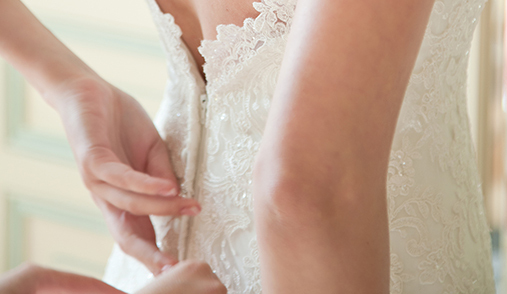 Our team of bridal specialists will ensure that everyone in the party has the perfect fit for a perfect day. 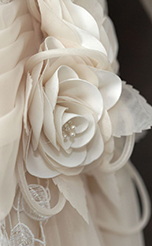 There is no appointment required for bridal party tailoring and alterations. Simply walk in during store hours (and at least 30 minutes before closing) and one of our Fashion Stylists will be able to assist you. However, for group fittings, please call for an appointment.